One of the challenges of being a parent is to keep a sharp eye on your baby, particularly when it comes to his health. A perfect example is when your child suddenly gets a fever. This requires consistent monitoring with an extremely accurate device. We’re talking about the best rectal thermometer for baby! This type of thermometer will always be the most accurate one for your child. And as he grows older, you may resort to other variations like ear thermometers. Now that we’ve established how important this particular device is, we’re finally ready to show you our top choices. 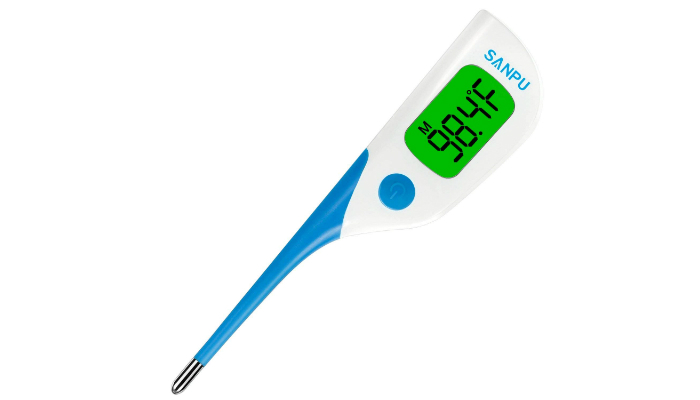 An FDA-approved device, Enji Prime Digital Medical Thermometer is not only accurate but extremely fast as well in providing results. In just 10 seconds, you’ll be able to find out the temperature of your baby. This product is also hygienic. It has its own sanitary storage container and probe cover. As a plus, it comes with a free battery so you can use it as soon as you receive it. If ever you’re looking for that perfect baby shower gift, why not settle for something really practical? This rectal thermometer is an excellent choice! It is already placed inside a neat box, ready for a quick wrap. 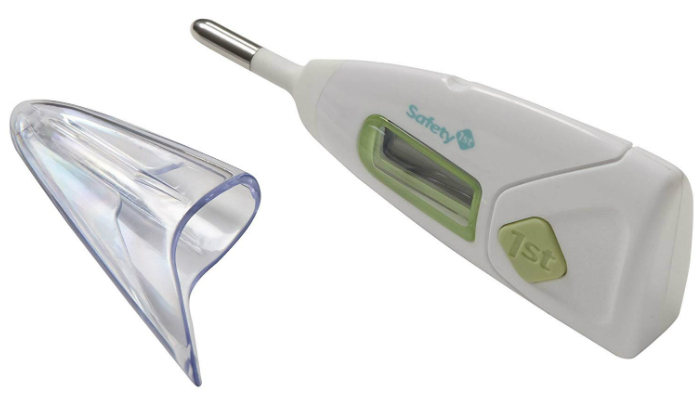 Taking urgency up a notch, Safety 1st Rectal Thermometer only needs eight seconds to process the reading. It will also beep to let you know that the result is ready. If you want to check the previous reading, you can do so because of the recall function. This product is great for babies since it has a really soft tip that’s flexible. It also has an over-insertion guard and a secure grip to prevent accidents. Another safety feature is the short probe to help you control the insertion. Overall, this rectal thermometer is perfect for wiggly babies. The eight-second reading is such a huge factor for this. 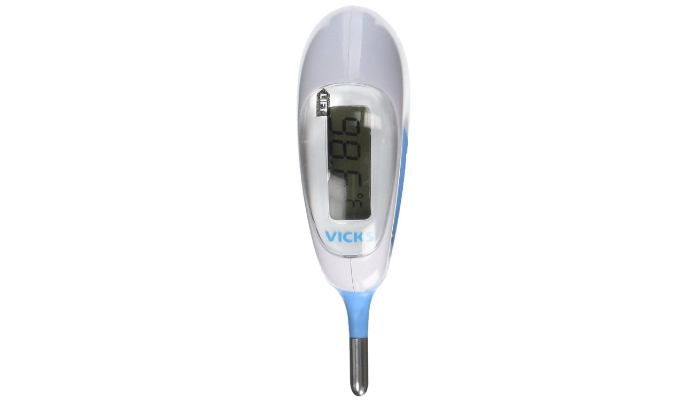 While some thermometers can be placed on different parts of the body, Vicks Baby Rectal Thermometer is specifically designed for just one function only. It is ideal for newborns until they reach three years old. Just like the first product here, it only needs 10 seconds which is enough for a speedy process. Sometimes, taking your baby’s temperature is essential during the night. Fortunately, this rectal thermometer has a big LCD display with a soft backlight. To prove that this is a versatile rectal thermometer, Generation Guard Digital Thermometer can also be used orally like basal body temperature thermometers. That’s why you may use this device until your baby grows older. Meanwhile, the features contributing to the accuracy of this product are the microchip and the extremely sensitive sensor at the dual-mode tip. Lastly, this rectal thermometer is waterproof. Meaning, you can easily clean it after use without damaging its internal components. 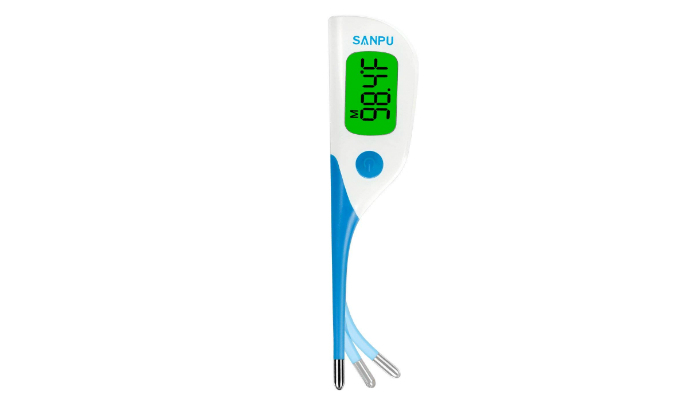 Another product that only needs eight seconds to process is SANPU Digital Thermometer. It is also another versatile option since it can also be used orally or underneath the child’s armpit. In addition, it beeps after taking the temperature. This product also has a big LCD display with a backlight for easier reading in dim light. Focusing on the backlight alone, it has a special feature. It will glow red to instantly alarm you in case your baby has a fever. 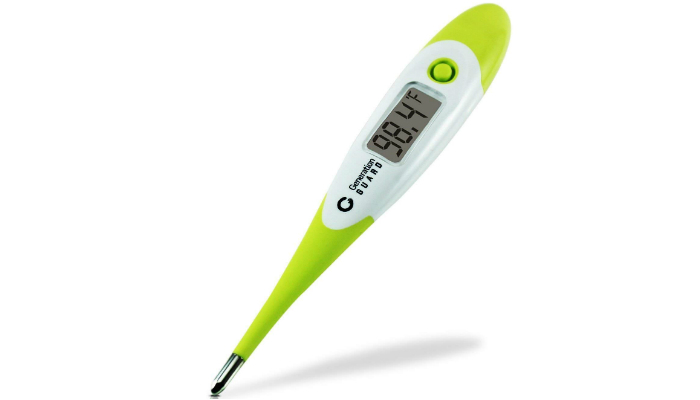 When it comes to convenience, this rectal thermometer can recall the previous reading. It is also a really simple device since you can do anything with just one button. 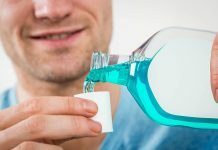 Cleaning it is a breeze as well because of its waterproof surface. Safety is the number one priority of Geratherm Rectal Thermometer. After all, we’re talking about the well-being of babies. The first safety feature you’d notice immediately is the tapered end to prevent harmful insertion. Next, let’s focus on the fact that this product is mercury-free. 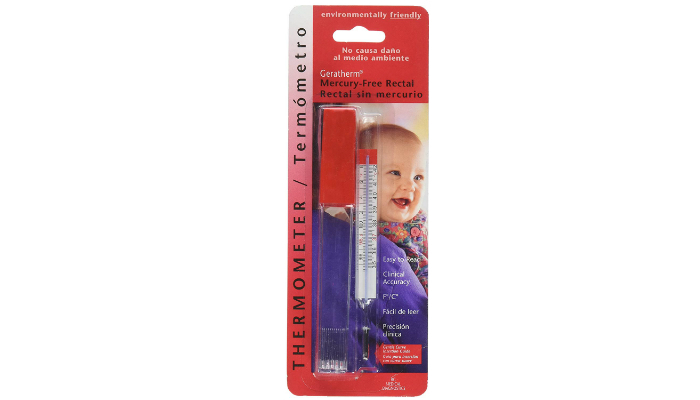 Aside from keeping your baby safe from a toxic substance, the mercury-free feature makes this thermometer environment-friendly. As an alternative to mercury, this rectal thermometer contains Galinstan instead. Galinstan alloy is confirmed by experts to be safe for humans of all ages. Since we’re particular about giving you the safest options for your baby, we prioritize the factor that a rectal thermometer should have a flexible tip. If the thermometer’s probe is flexible, it only means that it is soft. Simple as that! Another benefit of having a flexible tip is easier insertion even if your baby is wiggling. You’ll receive an inaccurate result if the tip keeps on separating from the child’s skin. The base should be significantly wider than the probe or tip. This feature stops the rectal thermometer from going deeper than necessary. It goes without saying that inserting the device too far down will harm the baby. Additionally, there shouldn’t be a wide gap between the tip and the base. In fact, the probe must be short enough while the base dominates most of the thermometer’s structure. 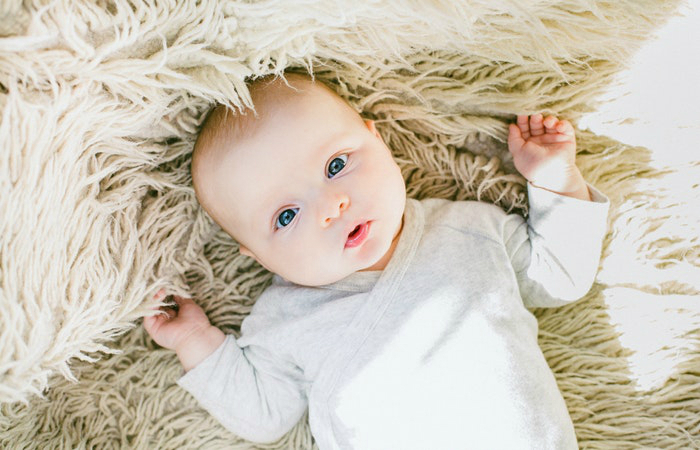 The foolproof way to get accurate results from a wiggly baby is to use the thermometer for just a few seconds. That’s why rectal thermometers that only need eight to 10 seconds to process are highly recommended. Don’t worry about this feature because it won’t affect the thermometer’s level of accuracy at all. As long as you choose a high-quality product, speed and accuracy are perfectly balanced. 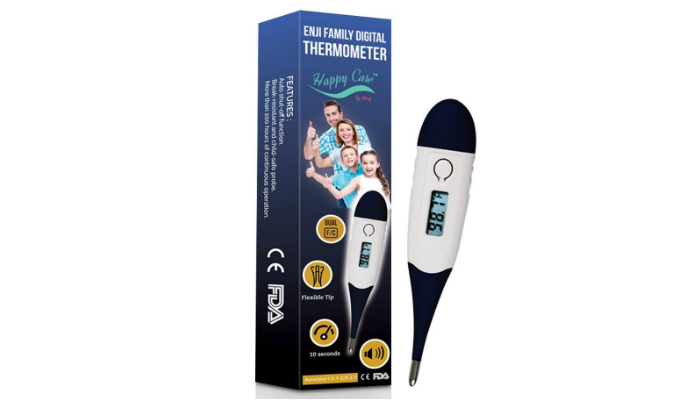 Because of its flexible tip, wide base, quick 10-second reading, and other special features, Enji Prime Digital Medical Thermometer is the best rectal thermometer for baby. It has the perfect blend of safety, convenience, and accuracy. For future use, learn how to reset a digital thermometer using the Ice-Point and Boiling-Point methods.